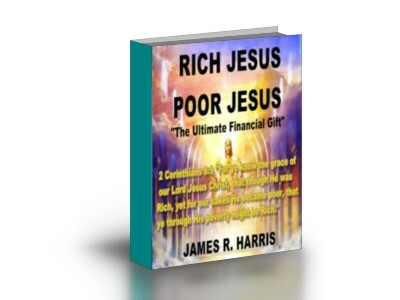 "Rich Jesus Poor Jesus" - The Ultimate Financial Gift. This is a150 page comprehensive Ebook on Christian wealth and poverty in the body of Christ. This Ebook teaches many different principals of faith building methods, such as positive confession on the Word of God, the power of Meditation, the 7 Formulas for wealth and prosperity, how to receive blessings through tithing and offerings, a new mind-set for prosperity and many more. Also all the Blessings of Abraham are list as well as the scriptures on wealth, blessings, prosperity,and abundance.